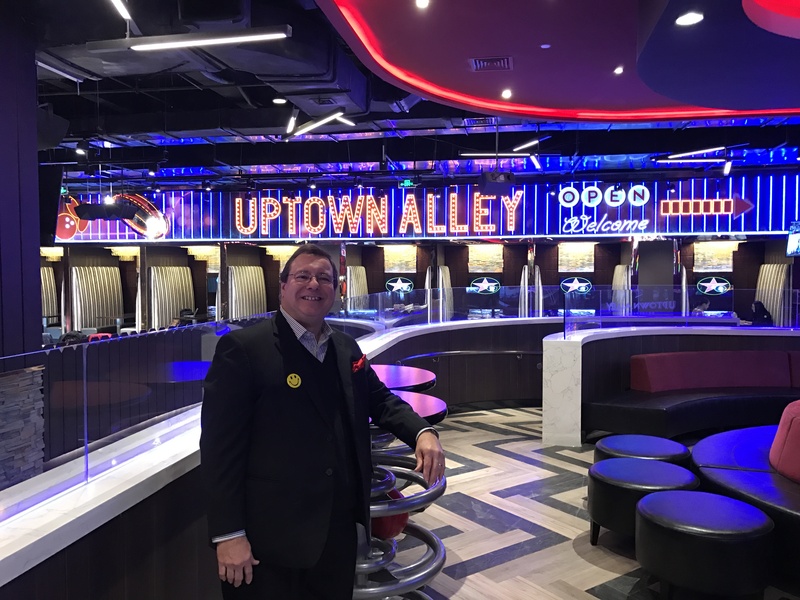 Uptown Alley, located in Changzhou, China, opened in December 2016 as part of an international expansion of the UTA brand. As the fourth location, the center occupies 5,800 square meters in the renowned Global Harbor Mall making it the largest bowling-based entertainment center in China. With two full restaurants, 37 state-of-the-art bowling lanes, over 60 interactive/prize games (with a retail-prize store), a large billiards ultra-lounge, four bars, sports theater, live entertainment and five private party rooms, it was awarded “BEST New Center Interior Design” in the WORLD as designated and selected by the respected Bowlers Journal! This entry was posted on Wednesday, December 14th, 2016 at 3:43 pm	and is filed under . You can follow any responses to this entry through the RSS 2.0 feed. Both comments and pings are currently closed.